Macquarie Natural Therapies are Bathurst’s leading Natural Health Centre. Services include remedial massage, naturopathy, acupuncture and herbal medicine and much more. They aim to help people take control of all aspects of their health and wellbeing. An existing website had been built using one of the well known online website building services. Despite the claims from the operators this website failed to appear in any sort of search results. Net Maintain were given the task of using the existing website content as the basis for a new website. The new website was to be built so as to appeal to search engines and provide a platform for improving visibility in search engine rankings. 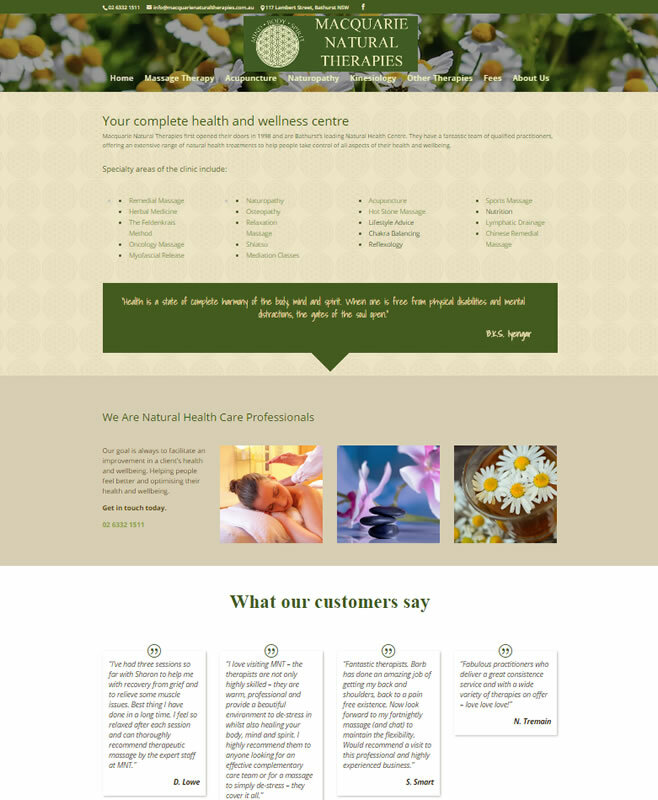 Click here to visit the Macquarie Natural Therapies website. Build a new search engine friendly website using the content from an old website as the basis.